An American made, authentic backlit movie poster display with a contemporary style. The front loading poster frame is mounted on a 1 ¾” thick panel that “floats” off the wall, adding a more dimensional appearance. 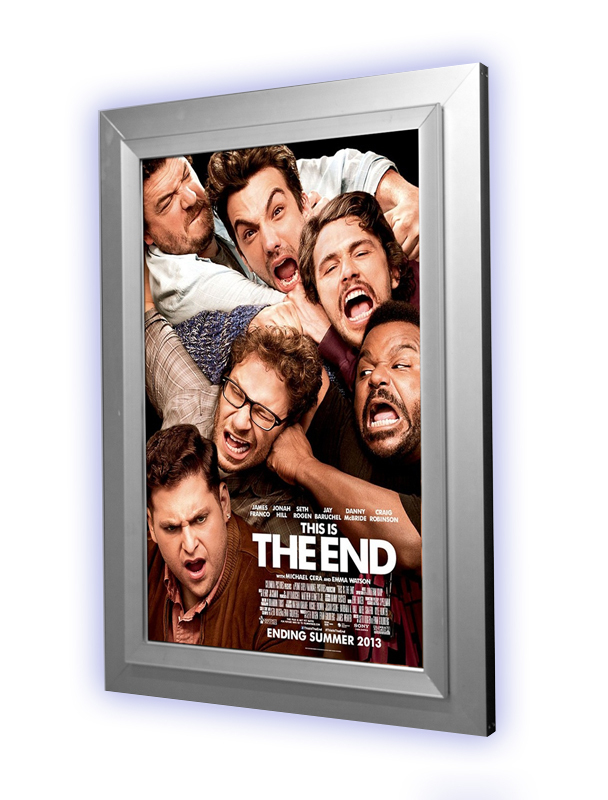 All 4 sides of the 1 ¾” wide frame “snap” open and closed for easy front loading of your favorite movie poster. The frame comes with a crystal clear sheet that serves to protect and enhance your movie poster, and make it look like it’s behind glass.